Stephen talks about Brian Windhorsts column on the playbook to handle LeBron for any incoming coach. Todd McShay joins to talk about the changing landscape of the draft. Dave talks to Mike Schmitz to break down Junes NBA Draft and who the no-doubt top picks will be. Stephen discusses Connor McGregorÃ¢`â„¢s arrest and feels itÃ¢`â„¢s not a big deal, a gets into the Barstool's article that disagrees with him on Celtics fans and Gordon Hayward. Chris Haynes of Yahoo! Sports joins the show to talk about LeBron, the Lakers and Kevin DurantÃ¢`â„¢s future. Stephen gets into it with a caller over Kyler Murray. Ramona Shelburne joins the show to give more insight into whatÃ¢`â„¢s been a disastrous Lakers season, she thinks the time for the franchise to start winning has come. Ryan Clark joins to talk about the curious behavior of Antonio Brown,and Ã¢`%93 Francis Ngannou joins the show to talk about his UFC heavyweight bout from the weekend. Merril Hoge joins the show to talk about Kaepernick and Antonio Brown and his latest venture Ã¢`%9CYour Call Football.Ã¢`%9D Stephen gets into calls on Kaepernick. Stephen talks to Marc Stein joins the show to talk about this weekÃ¢`â„¢s NBA Trade Deadline, but first they address the breaking news involving John Wall. Bill Plaschke joins the show to talk about the Lakers quest to land Anthony Davis prior to next weekÃ¢`â„¢s trade deadline before getting back to the Super Bowl. Stephen is live in Dallas, he gets into the NFL coach firings and ownership after being prompted by a caller, and takes calls on the NFL playoffs. 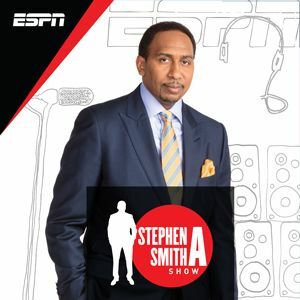 Stephen is live in Dallas, he tells us his hopes for the Cowboys and talks NBA before Louis Riddick joins to talk NFL. Stephen A. gets into the circus that is the Steelers and while Mike Tomlin needs to do better in no way should he be fired.